This Plastite® screw is a #6 x 1 3/4" long. It is a pan head screw. Recommended torque is between 5-8 lbs. 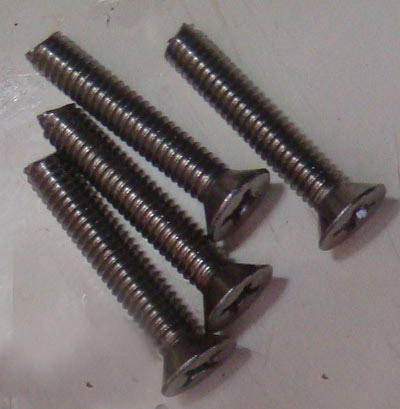 It is a tri-roundular screw, it reduces the need for brass threaded inserts and lock washers.